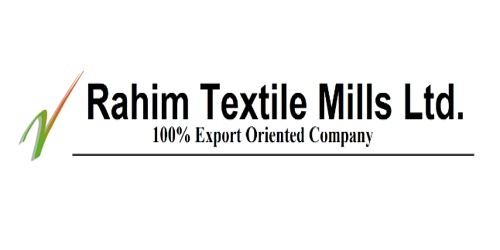 It is a broadly described annual report of Rahim Textile Mills Limited in the year of 2012. An amount Taka. 806,717.00 has been provided as Income Tax for the Financial year of 2011-2012. The turnover of the company during the year was Tk.470 214 million as against last year’s turnover of Taka. 409.222 million The increase in turnover is 14.90% over the last year. Gross Profit earned during the year was Taka. 68.15 million (14.49% of turnover) as against last year’s gross profit of Tk.69.11 million (16.89% of turnover). Net profit (after tax) earned during the year was Tk.1.02 million as compared to last year’s Net profit (after tax) of Tk.7.65 million. During the year net profit after tax has decreased also due to the payment of prior year’s income tax amounting to Tk.3 40 million. This year’s cost of goods sold was 11402.06 million (8551% of turnover) as compared to last year’s cost of goods sold of 1k.340.11 million (83.11% of turnover). The Board of Directors proposed and recommended for the declaration of Stock Dividend (Bonus Share) @ 10% for the year 2011-2012. This will need issuance of 200,200 Ordinary Shares of Taka.10.00 each with an appropriation of Taka. 2,002,000.00 out of Retained Earnings (free reserves) to Capital Account. The dividend will be paid to the Shareholders whose names appear in the Share Registers of the Company or in the Depository on the record date.